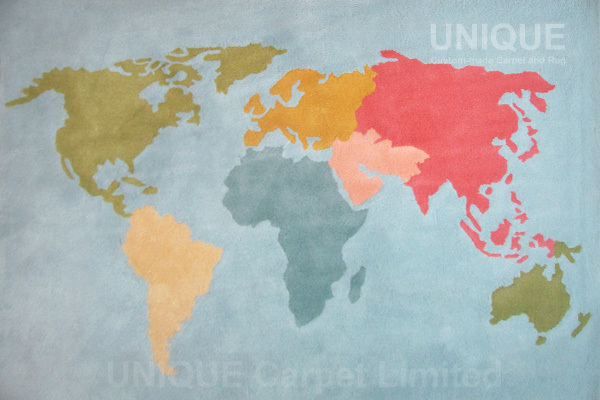 Worldmap is a popular pattern for carpet. A simplified worldmap graphic with proper color combination keeping the overall impression of worldmap. 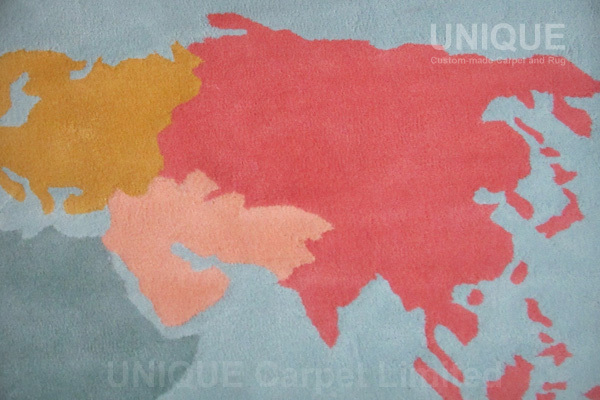 This entry was posted in Portfolio and tagged Area rug, carpet, Wool, World Map, 世界地圖, 地氈, 羊毛 on August 10, 2013 by georgewong. 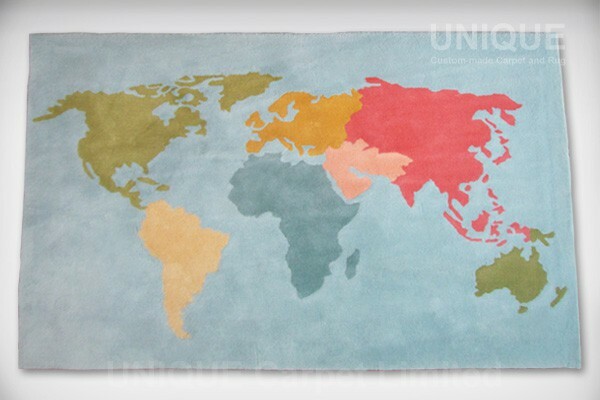 I am looking to receive the rug by November 1st, can you please quote me a price for the world map rug? I live in Seattle Washington. What size and material do you like ? And shipping to seattle washington by air is quiet expensive. Looking forwards to your reply. How long is delivery time for earth carpet 1mx1.5m asper pictures to Poland. What is price? For shipping to Poland, it takes about 14-21 days. What size, material and pattern do you want ? Hi! I am in BC, Canada. I’m wondering about the cost of a rug like this, approx. 5 feet by 7 feet. If you could give me the price for wool, and also for a cheaper material? If you could give an estimate cost of shipping that would be great too. You mentioned air shipping is very expensive- can it be shipped on a boat? How long would it take to arrive? Thankyou! Thank you for your message and sorry for late reply. I will send you a brief quotation through email soon. And flat ship takes about 30 – 40 days days, shipping fee is much cheaper. Which pattern do you want to make ? Will message you by email. Thanks ! A rainbow is done ! New Zealand Wool Area Rug Size: 2350mm X 1900mm Material: 6.5lbs New Zealand Wool Thickness: 15mm Could custom made the area rug according to.. 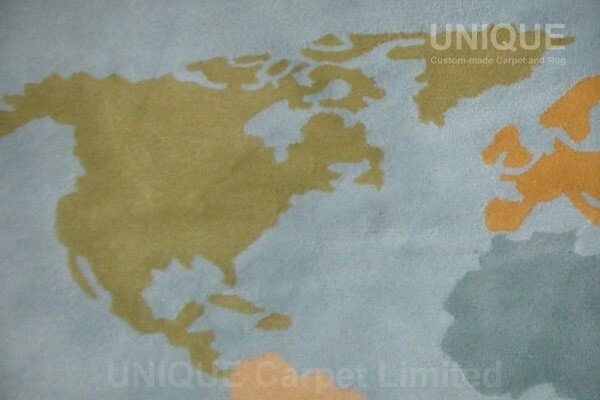 Copyright © 2011-2019 UNIQUE Carpet Limited. All Rights Reserved.